DERBY DUST DOES NOT ADVOCATE CHEATING OR BREAKING YOUR PACK’S RULES. YOU MUST DETERMINE WHAT YOU FEEL IS ALLOWED BY YOUR PACKS RULES. PLEASE DO NOT ASK US TO MAKE THIS JUDGMENT CALL FOR YOU. WE WILL DO OUR BEST TO TELL YOU UP FRONT WHAT WE THINK IS ALLOWED. Below is Pack 502 rules AS AN EXAMPLE. These guys are SUPER STRICT. Basically the ONLY modification allowed s sanding. Each pack is different. We will not be held responsible for your decisions. WHEELS Made your way. Will NEED 1 DAY to make. THESE ARE CUSTOM. Meaning will ship next business day after ordering. ORDER MONDAY NIGHT-SHIPS WEDNESDAY MORNING. ORDER TUESDAY DAY SHIPS WEDNESDAY NIGHT.. NO SAME DAY SHIPPING. On a Builders NOTE…. You will need a set of pliers to pull the axles once installed. You are paying for custom wheels. Make sure that you DO NOT damage them! You will bend/warp out of round. Then the wheel will not roll correctly and you just wasted $$$. Please don’t let this be I told you so moment. WHEELS Made your way. Will NEED 1 DAY to make. THESE ARE CUSTOM. Meaning will ship next business day after ordering. ORDER MONDAY NIGHT-SHIPS WEDNESDAY MORNING>>> ORDER TUESDAY DAY SHIPS WEDNESDAY NIGHT.. NO SAME DAY SHIPPING. Our inner bore reamer is .0960 You decide if you would like for the inner bore to be reamed. Reaming of any sort will cause micro scratches. Be aware of this. Our reamer is a 4 blade straight edge reamer changed after 100 sets of wheels. 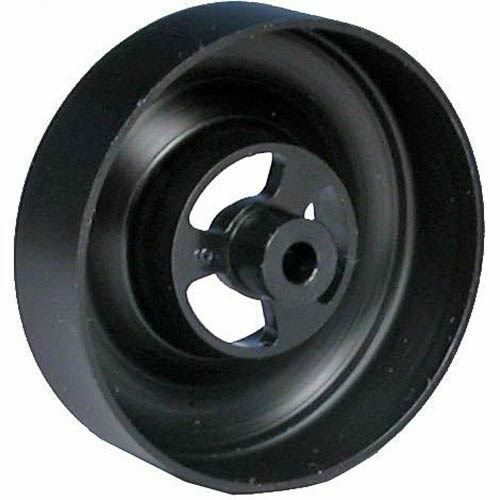 Normally all of our wheels are reamed to ensure that it meets the standard minimum diameter. WET SAND OPTION: These wheel set have NO MACHINING OR LATHE WORK. If your pack rules requires light sanding only to remove mold marks, we offer that option as well. All 4 wheels are chucked up at one time. Then the wheel set is ran thorough a series of wet sands 400-1000. This eliminates the highs of each wheel, does not address the lows. This will make them a uniform, consistent set of wheels ready for racing. This gives it a nice finished look and also complies with rules of your pack. No Wheel Modification Allowed – If the wheels may not be sanded or modified in any way, use .360 width . Derby Dust “Domed” Outer Hub- This option rounds the outer portion of the outer hub and still retains its original step down to the next hub. This is the option that the “Asset” Wheel utilizes. Click Here for more info regarding this option as it a very detailed option. Domed Hub- This option eliminates the outer hub completely, thus making a lighter wheel. 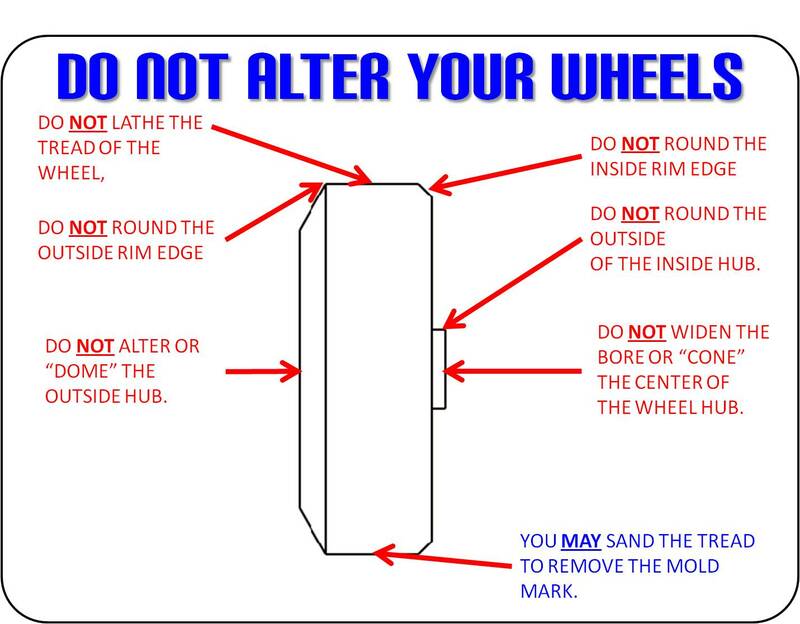 No Wheel Modification Allowed – Choose Factory, POSSIBLE treated outer hub. Wheel Modification Allowed – Use your best judgment. Light weight removal– Only the back of the front portion of the wheel has been milled. Cut is near invisible. All BSA lettering is left in tact. 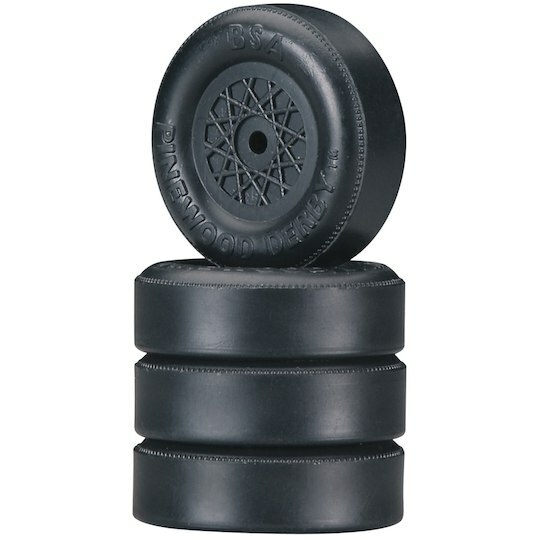 This reduces the wheel weight by 0.60 grams while retaining a near stock appearance. Medium weight removal—Inner portion of wheel has been machined to reduce weight. This option is a diagonal tapered cut. The outer edge will retain its near factory thickness while tapering to a smaller diameter towards the front of the wheel. All BSA lettering is left in tact. This reduces the wheel weight by 0.9 grams while retaining a near stock appearance. If you need a wheel that is maximum weight removal. Please see the DERBY WORX ULTRA LITE WHEEL. They have perfected this process. there is no need for us to try and copy it. If you want, we can mill profiles to wheel treads. Most packs do not allow these modifications. But if you are running and outlaw race, always fun to try new things! Please visit here to see more info on our tread profiles. More will be added as we write the machine code. Only choose this option if you can have a profile that is not a FLAT unformed consistent profile. Simple, no smoke and mirrors. No inflated costs. Guaranteed results. You can hear and see the difference. Increases speed, decreases overall time on our track by around .01-.015 seconds on 30.75 feet measuring distance. Definitely a major difference. Polishing removes all the micro scratches from the manufacturing and machining process. By doing so, you make faster wheel with less friction. Do it yourself ($9.95 for the kit and 1 hour of work) or we can do it for you for a little more than the price of the kit. You have read up on it and believe in the Hype! So we offer this service to you. 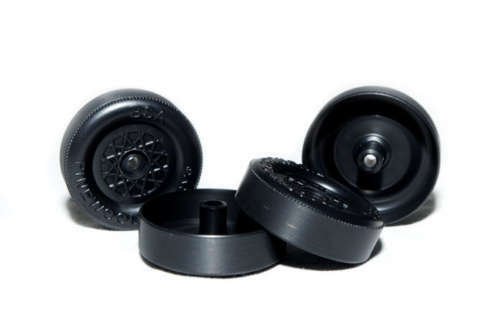 Derby Dust Opinion: The easiest way in getting caught purchasing wheels and not using what you have in the box is the wheels with the all same mold number! There is only a 1/64,000th chance of getting all 4 wheels the same mold. 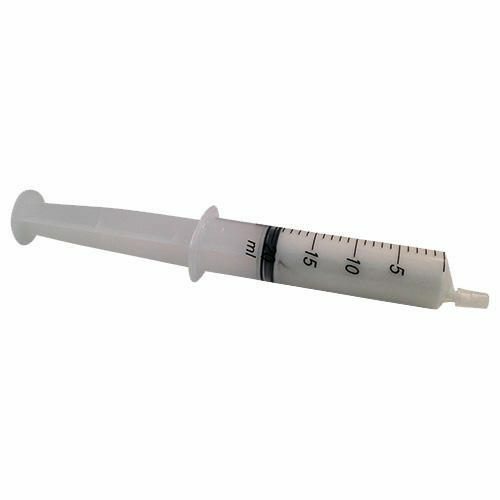 We recommend the Precision Measured Matched Inner Bore. It is a more precise option rather than a “mold number” that has no real measurements. Visually inspected bore free from manufacturing flaws. Every .001 second counts and this option easily helps in that department. These wheels are the cream of the crop and carry the price tag with them. You’ll have to buy quite a bit of wheels to find 4 of these usually. Since we buy them by the thousands, our selection is a little easier. We believe this option is more appropriate than mold match wheels. Wheels are matched using precision certified pin gages. Accuracy of .0002″. We are the first in the industry to offer this type of service. Lets watch the rest follow. Rest assured that your wheels will be as near identical as we can make them. 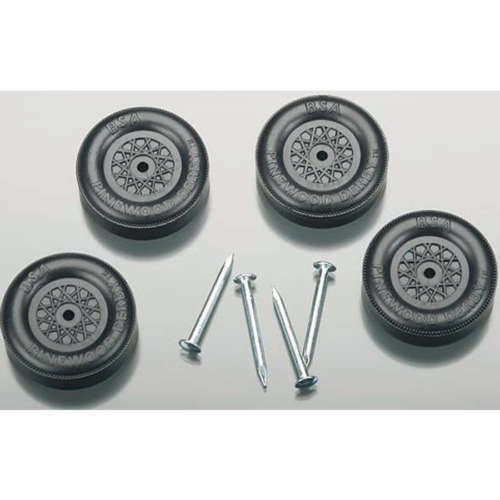 If all your wheels have the same rotational travel, will make it easier to tune your car and reduce wheel wobble. No need for averaging. We will match exact diameters. Go to Appearance > Widgets > Footer Widget to edit this area.